Over the last three decades we have been working hard to improve the education of children in the remote villages where we work. We built classrooms and provided vital furniture and equipment, but in particular we have never forgotten the importance of the quality of the teaching and management of the schools. 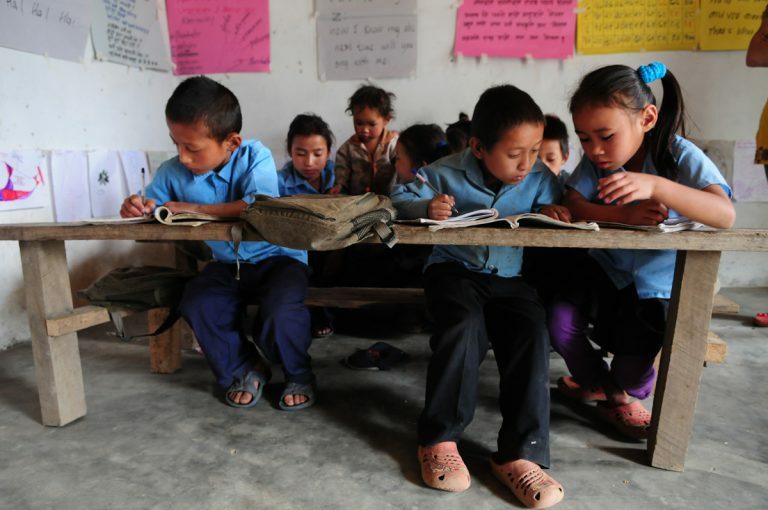 We started our work in Khumbu, but in 2005 we moved our focus to the poorer area of Taplejung, in the foothills of Kanchenjunga, and we now have a first generation in Taplejung who are literate, who benefit from a child friendly environment, who are allowed to express themselves in school and are encouraged to explore through education. The children want to go to school as they realise the door to escape poverty has been unlocked through the provision of better education. Emulating the work of Sir Ed in Khumbu, we introduced our dedicated Health Programme in 2013 to the same Taplejung area to transform community health by encouraging healthier life styles and better use of the available medical care. We achieve this through working closely with our local partner NGO providing health education, community based emergency funds, the rebuild of a health post with birthing centre and scholarships for local women to train as midwives and health workers. Multiple health projects are underway , but already the village leaders and healthcare professionals have reported significant improvements in the health of their communities that our funding has allowed us to reach so far. There is plenty more work to be done in our current core projects of Health and Education and with your help we can do even more to help the mountain people of Nepal. You can Get Involved through fundraising for us, attending one of our events or to DONATE. Over the years we have been involved with various projects. Our biggest Emergency Relief project followed the devastating earthquake in 2015 – together with our New Zealand and Australian colleagues, we took on the extra task of completing the “Building Back Better” project across the affected areas, not just in Taplejung. We are extremely proud to be able to say that 166 classrooms have been rebuilt in 47 schools and around 7,500 students are enjoying being able to go back to school in much safer, earthquake resistant classrooms. 2011 Earthquake – No human casualties but houses, public building and schools were badly damaged. Taplejung was particularly badly hit due to the epicentre being in the Northeastern part of Nepal on the border with India. Our contribution resulted in classrooms being constructed benefiting students and teachers. Avalanche in 2014 – a big land slide and flood occurred in Kholkling and Libang in Taplejung killing 59 people including 16 Sherpa mountaineers. One of the schools in our project area was badly damaged. 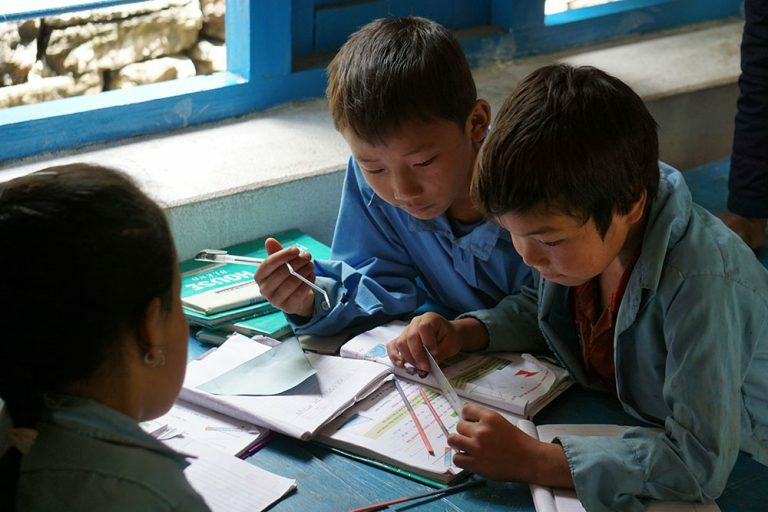 Our financial contribution was two-fold; we supported the building of a new school in Tapethok benefiting students and the local communities, and we provided ongoing financial assistance to ensure that the children of the Sherpa mountaineers would be able to go on and receive a full education. See our blog to find out how some of those children are doing. 2015 fire damage – Fortunately there were no human casualties but 48 houses were totally damaged. We financially supported the work of the District Disaster Management Committee and REED to help the victims rebuild their houses and buy household needs. Click on the images below to read how Himalayan Trust Scholars say we are making a difference to lives in the Himalaya.